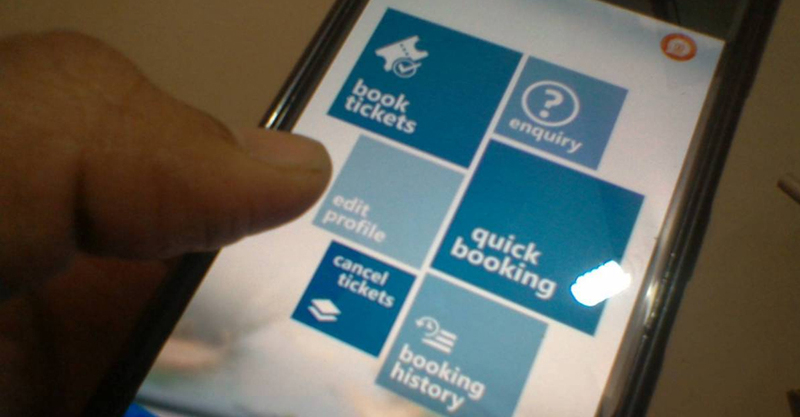 Railway introduces mobile application for online booking of general tickets. Rather than general tickets platform and seasonal tickets can also be taken through the uts mobile application. This helps the passengers to save time by avoiding the queue to collect ticket in the railway station. This application works in and around five kilometers of the station. Sleeper tickets are not issued through the mobile app but passengers can get sleeper tickets by giving extra fare ticket consulting TTE. The application works in android, ios and windows. The application can be downloaded by searching uts on mobile. Gps is needed to be on to avail this service. Season tickets can also be taken through the app and it also gives option to renew the present season tickets. Season tickets are issued for a period of one, four, six months and for a maximum period of one year. Renewal of season tickets is made easy as you need to only enter uts number, and details will be automatically updated. For using the online booking facility passenger needs e-valet which can be filled using debit/credit cards or net banking. No extra charged is collected when e-valet is used to buy tickets. This application does not work in the train and inside premises of railway station. This is in order to block the passenger’s misuse of the service taking tickets when checking comes. For the time being this facility is now available only for the southern railway. It’s not possible to book tickets outside the limit.